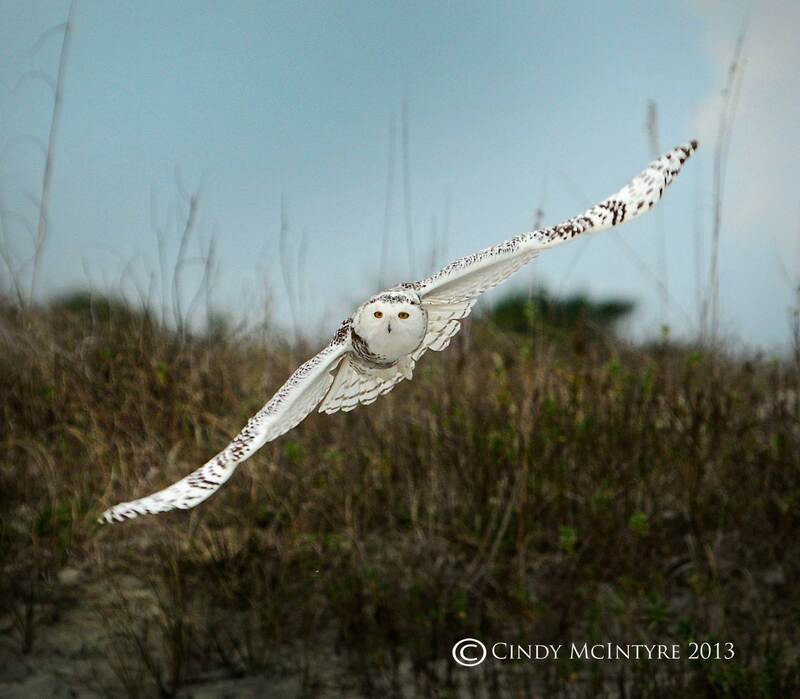 When a snowy owl comes to Florida, it’s a “calling all birders” moment. It is extremely rare for a bird of the snowy tundra and the northern U.S. to venture this far south. 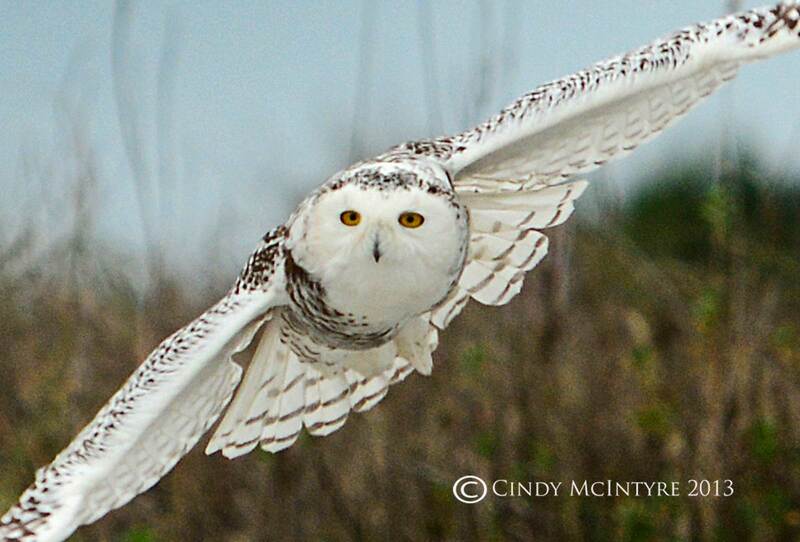 There is an “irruption” of snowys this winter – meaning an extraordinarily large number of these birds are showing up in areas they aren’t normally seen. Why is this happening? Perhaps there is a shortage in their food supply – lemmings and rodents mainly – in their preferred habitat. So they venture south to find better opportunities. 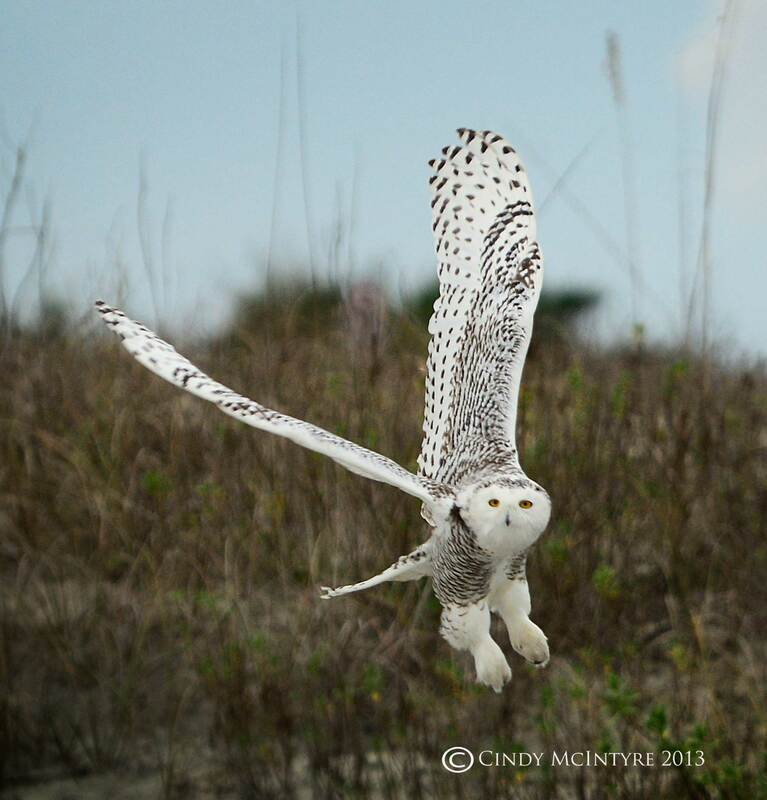 This immature female landed on a beach in Little Talbot Island State Park in northeast Florida near Jacksonville. I found out about her from a visitor where I work at Okefenokee National Wildlife Refuge 60 miles away in southern Georgia. Oddly, nothing showed up on the Georgia Bird List, even though the bird is very close to the border. I spent all day in the area with other birders and bird photographers, making sure we didn’t get too close to scare her. So these photos are highly cropped.